VIVASD is a manufacturer with a strong product development team and several highly skilled, experienced workers. 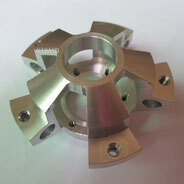 We do not offer ready made (commercially off the shelf) parts, but are instead exclusively manufacturing custom parts based on your drawings or existing samples. 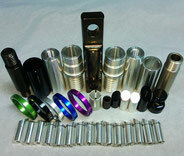 We can make parts with Billet Aluminum 6061T, 7075T, brass, stainless steel, and several other materials. Please let us know your needs. Our objective is to develop and produce merchandise that meet your exact specifications and offer an extensive range of styles to ensure that we can satify your expectations and budget. 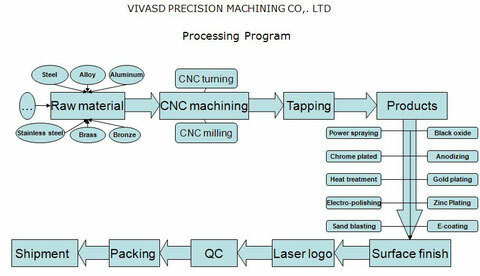 VIVASD has set up a quality control program based on many years of exporting to countries in the Americas and Europe. Our inspectors are carefully checking every detail of the products before shipping, ensuring that the products are correctly made to your exacting specifications. Our products have been sold to over 20 countries, including Canada, United States, Europe, and Australia. 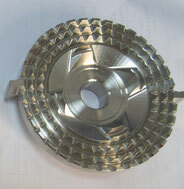 Most of our clients benefit from our OEM service. We have advanced CNC machining Centers, CNC turning lathes, CNC drilling lathes, CNC milled machine and highly educated engineers so that we can meet your demand and create the product according to your provided drawings or samples.